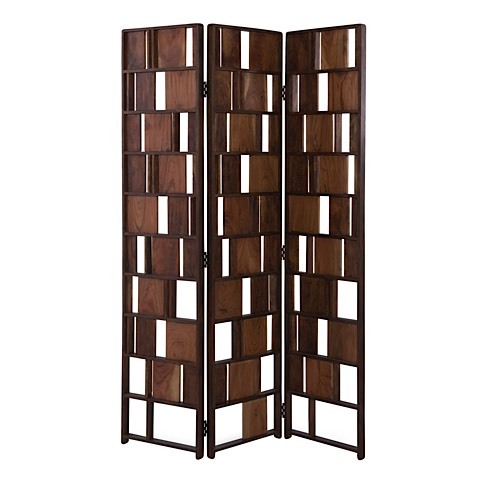 The multi panel floor screen acts as a functional space divider or simply as added décor. 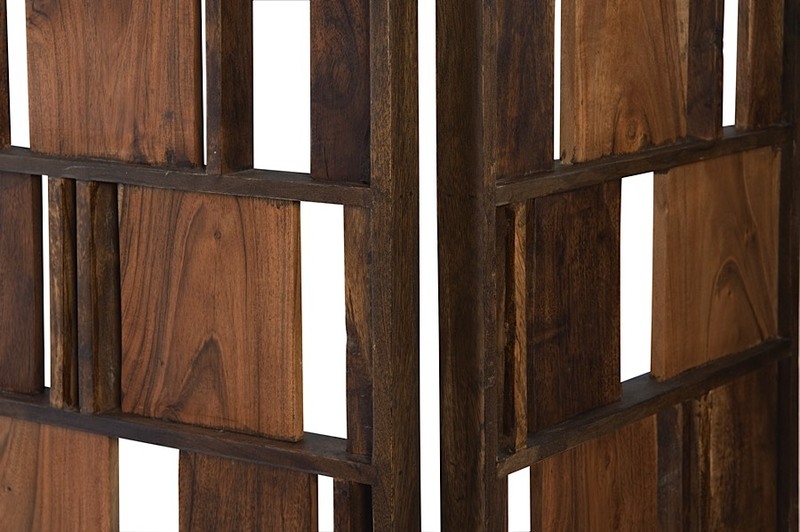 The cut outs and pieces vary in size which make this piece unique from other screens; no two screens are exactly the same. 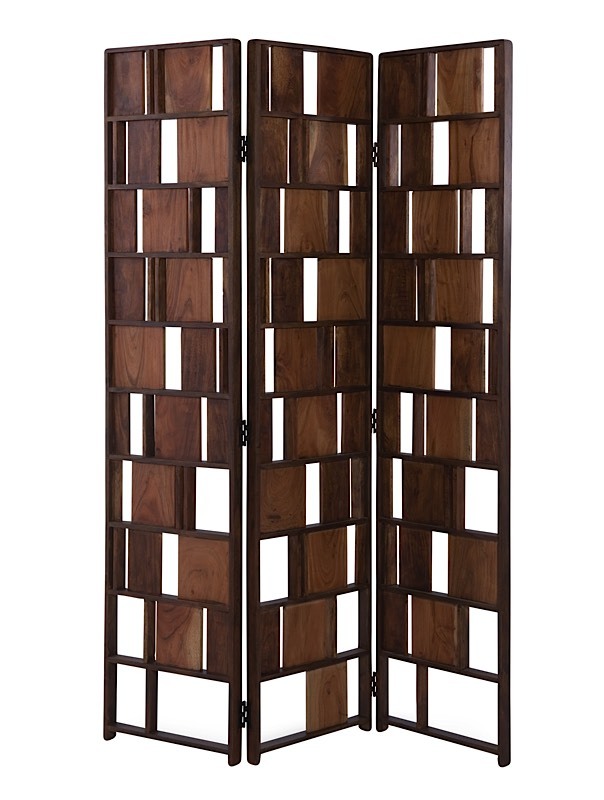 Crafted of solid acacia wood and made in India. The floor screen comes fully assembled.